Parga is a town and municipality located in the northwestern part of the regional unit of Preveza in Epirus, northwestern Greece. It is a resort town known for its scenic beauty. Town amphitheatrically built, Parga is a picturesque resort situated between the coastal region of Preveza and Igoumenitsa and combines uniquely mountain and sea. One of the most picturesque and cosmopolitan places in northwestern Greece, the “Bride of Epirus”, the beautiful Parga challenges you to experience up close its long history, its diverse natural beauty and hospitality of its inhabitants. 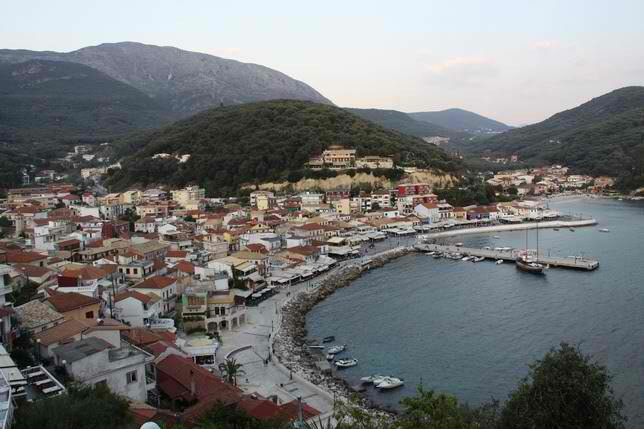 Parga is at a distance of 65 km. from the airport of Aktion – Preveza and the summer months it is connected with the surrounding islands (Paxos – Antipaxos – Corfu). Parga and the surrounding areas have many restaurants and seaside taverns serving fresh fish and unique local recipes. The character of the town is lively and modern but also with intense elements of the past. Place for daily meetings is the main road in front of the port, where every evening you can enjoy the sunset, while the sun disappears in the Ionian Sea, between the Castle of Parga and the Island of Virgin Mary. The entertainment in Parga begins early in the morning and never stops. With idyllic walks and tours, small stoned paths and traditional good food. In Parga and the wider region you could enjoy many sports, marine and other, since there are facilities for diving, water skiing, fishing, wind – surfing, hiking, bird watching, rafting, mountain biking, paragliding and horse riding. Parga rightfully attracts thousands of tourists every summer, not only because of its natural beauties, but also because of its beautiful beaches. You can enjoy your bath in the calm and hot water, but also you can do many of your favorite sea sports or games. 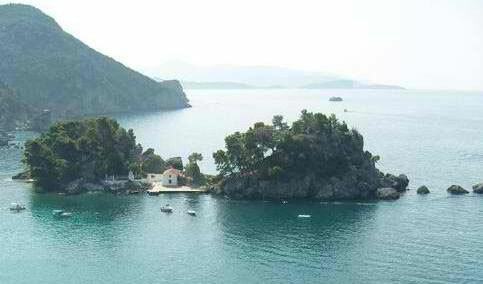 The coasts of Parga are probably the best part by the beaches of Ionian Sea. 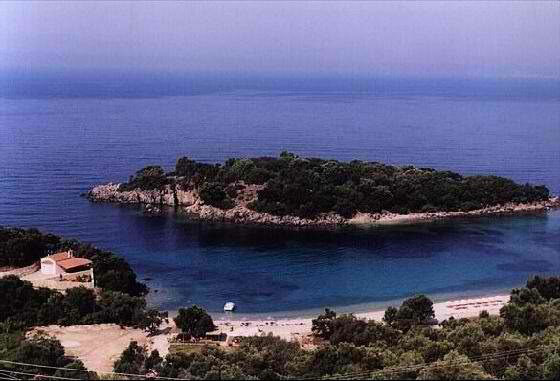 The most popular and most visited beaches are: Valtos, Kryoneri, Piso Kryoneri, Lichnos, Sarakiniko, Ai Giannakis. 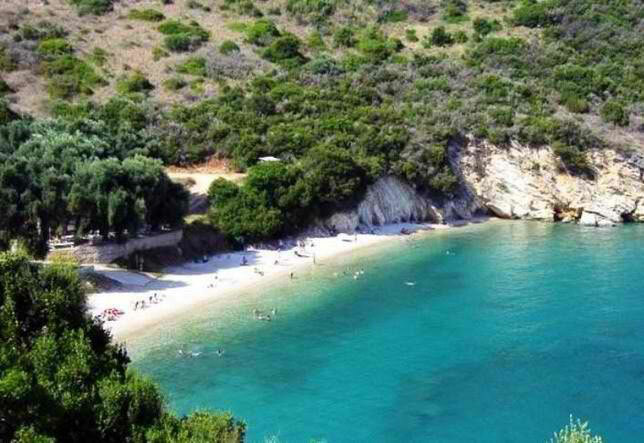 Lichnos Beach is one of the most beautiful and by far the most famous beach of Parga. It is at a distance of 4 km. away from Parga. It is surrounded by the green of the mountain and by the olive groves of Parga and in combination with the blue and crystal waters is about one of the most special and adorable beaches of Parga. Krioneri Beach is the main beach of Parga and is located within the bounds of the community in a distance only a few meters away from its centre and its port. Just across it and in a distance only of a few meters is located the magnificent and picturesque small island of Virgin Mary, which can be accessed by swimming or by sea bike. Valtos Beach is one of the longest beaches of Parga with a coastline that approaches 3 km km. 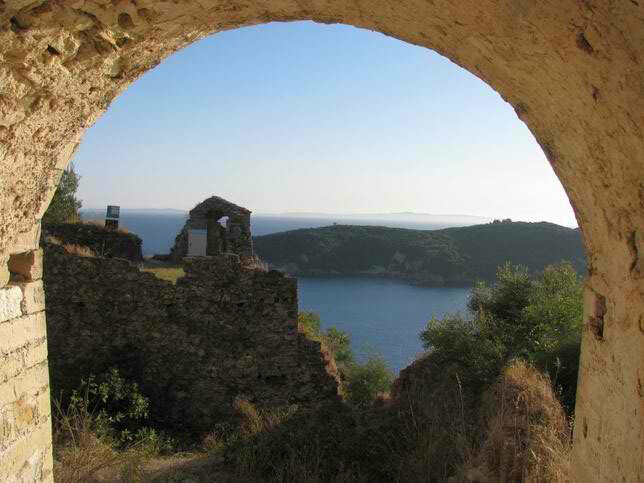 It is located just under the impressive rock that is built the Castle of Parga, on the opposite side. 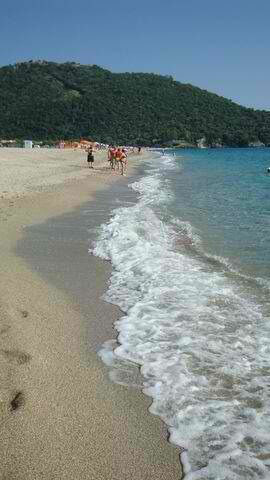 Because of its clear and calm waters and its distance from Parga, it gathers a crowd of swimmers. It is covered by sand and pebbles, is safe enough because it is surrounded by the bay of the castle of Parga and also by the bay of Vlacherna, whereas the length of coastline allows the natural renewal of the water without the strong streams. Sivota is a scenic coastal village with rare natural beauty situated in Thesprotia of Epirus, north of the Ionic Sea. It lies only 24 km south of Igoumenitsa, opposite of the island Corfu. Its natural beauties attract both Greek and foreign vacationers, showing a significant increase over recent years. 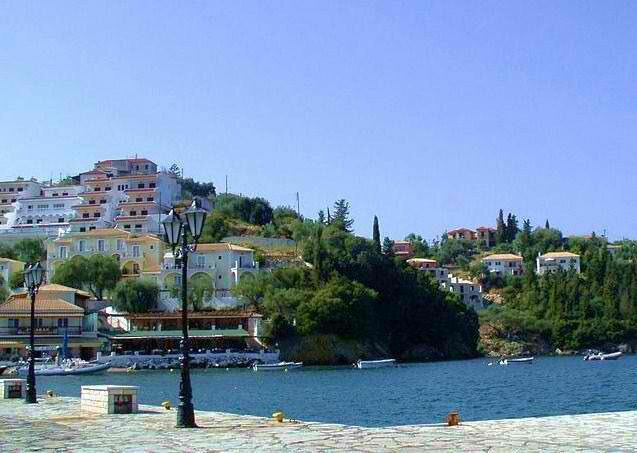 Sivota enjoys a setting of remarkable natural beauty. All around are hills blanketed by pine, cypress and olive, the trees in many places are reaching the water’s edge. The twisting coastline is indented with rocky coves, sandy bays, and stretches of almost white coarse-sand/fine shingle beach such as Mega Ammos a mile outside the village. Just off-shore, there are three wooded islets with beaches of their own, great fun to explore by boat, maybe taking a picnic. The hire of a small motorboat is recommended and is the best way to reach not only the islets in the bay but also nearby hidden beaches. A water-taxi will also take you inexpensively. 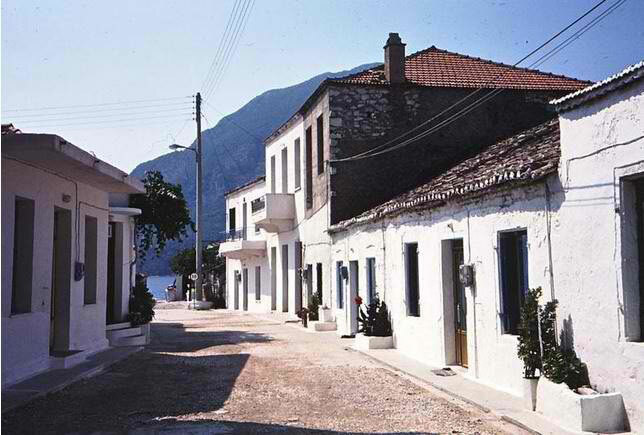 The village itself has plenty of Greek character. Although organised foreign tourism remains fairly low-key, the village has in recent years become increasingly popular with Greeks themselves (a fair few holiday homes are being built) and so the village, harbor and beaches bustle with life over weekends and during Greek holiday periods. The harbor is pretty as a picture, with an array of cafés and restaurants and small shops. A ten minute walk brings you to the greater part of the village, with church, stores and more tavernas. Over the headland is the sand/shingle town beach, and a little further are two white shingle bays. Excursions run by boat to Paxos, Corfu and Parga, and by small bus to Necromanteion and Glyki. However, there is a limited bus service and the village has only a couple of taxis, so if you want to make the most of the area the hire of a car would be a good idea. 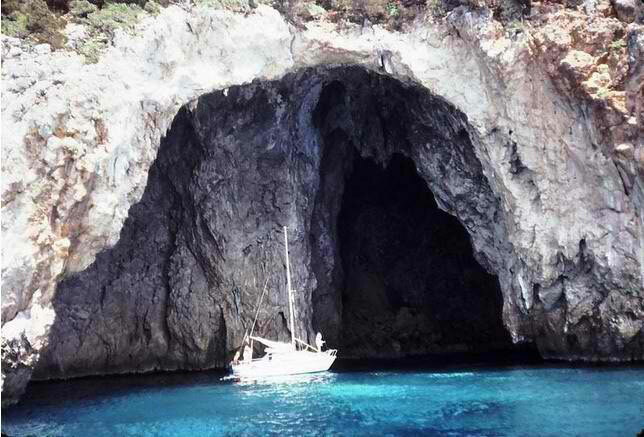 Perdika is located in Epirus of Greece, in the North of the Ionian Sea. 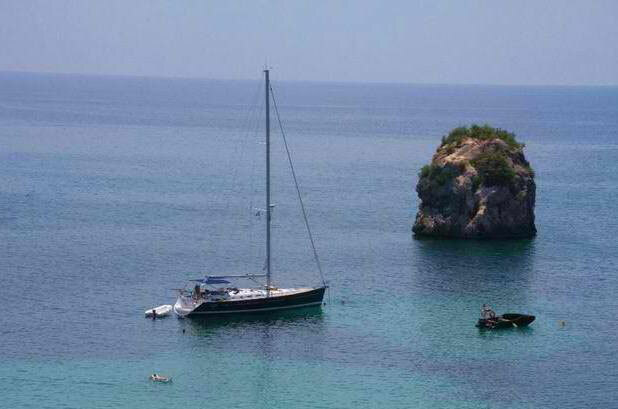 It is 35 km from Igoumenitsa and 15 km from PArga, only few km from Syvota. Opposite Perdika you can see southern island of Corfu and isands of Paxos and Antipaxos. Perdika is a picturesque village built on a mountainside among the green olive trees and the woodland, surrounded by beautiful, clear blue seas; it’s the ideal location for unforgettable holidays. The town has around 2000 inhabitants and during the summer it’s filled with thousands of tourists. The climate there is dry with an endless cool sea breeze. The view of the sunset in Perdika is fantastic. During the summer the sun sets behind the island of Corfu changing the color of the sky to a deep red. Lights at night from the island and nearby Syvota are a truly fantastic sight. There are plenty of places in Perdika from which you can enjoy the unique sight, but the most “classical” place from which to view this is the observation post. Perdika’s clean beaches have been awarded many times by Hellenic Tourism Organization. 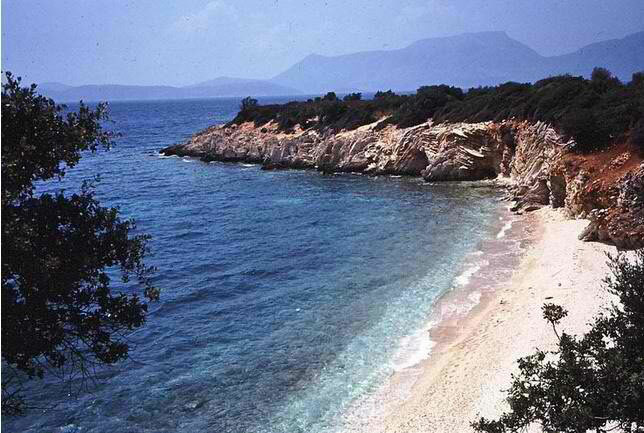 There are many beaches around Perdika, many of them are on the road between Syvota and Perdika. The most famous beach in Perdika is Karavostasi beach. Its beauty had made it a popular photograph in well-known travel guides of Greece and in advertisements. It is a wide beach with deep waters, white coarse sand and a large coastline. The river Paramythiotis runs into the sea at Karavostasi beach and on the mountain next to the coastline the ancient town of Elina (Dimokastro) can be found, where visitors can see the archeological site. Arilla beach has fine dark sand and very shallow water. It is ideal for young children as its depth, 50 meters from the beach, is about 1,5 meters. It also has a small harbor for small yachts. Agia Paraskevi is the most picturesque beach in Perdika with a small island near its shores, which you can reach by swimming. It is a inhabited island on which there was a church many years ago. The waters are not very deep and the sand is coarse. There are 3 northernmost beaches within the Perdika limits, but you can only get to the biggest of the three by car – beach of Mega Drafi. To the second of these beaches you have to walk a footpath and the third can be only reached by boat. Mega Drafi has a wonderful sandy beach and rather deep water. The caves found at the edge of the cliff near the beach are an amazing sight as well. Mytikas is a small seaside place situated in Epirus of Greece in the Ionian oriental sea. It has no more than 3500 inhabitants and it’s not a crowded touristical place. In front of Mytikas, there is the island of Kalamos, which makes a part of the archipelago that includes the islands of Lefkada, Kefalonia and Zakintho. Mytikas remains one of the destinations more aspired for the one who loves the true nature and the true Greek traditions. Kalamos island is about 5 minutes by boat from Mytikas. It’s a place of peace, where you can guarantee an unforgettable scenic walks among the green hills, before reaching hidden bays, small beaches and white cliffs. These are the characteristics of these places that make them the main destinations for adventurers and "sea dogs". In the island there are only two villages, Kalamos, on the south, inhabited by about 300 people, and the tiny village of Episkopi. Many village homes were abandoned because many of the original inhabitants have moved to the mainland. It is therefore an extremely quiet place, even in August. The marina, which houses a few boats of local fishermen, is small but beautiful. The island offers the possibility of fantastic excursions to discover small bays or quiet areas in the shade of pine trees that thrive anywhere. A winding road in the green connects the villages of Episkopi and Kalamos but in rest of the island there are no roads.